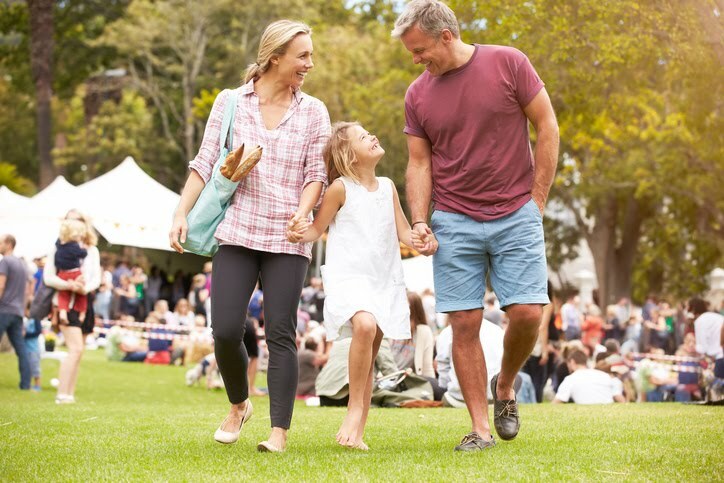 With school ending and summer starting, adults and children alike will be spending as much time as possible outdoors at home and community events. In most locations, summer weekends are chock full of local and regional events that attract a wide array of people. Some events attract local residents of a community or region, while larger events can bring tourists into an area for a few hours, day or an entire weekend. Summertime creates both opportunities and challenges for marketing to clients. While you may have more opportunities to provide products and materials for events, getting customers to walk in your front door is more difficult. Customers who like to participate in summer activities spend as much time as possible out of doors including taking vacations, days off and leaving early. So how do you take advantage of summertime doings instead of having them take advantage of you? If you give out marketing items that people actually will use in the summer, they will love getting them which puts your contact information in front of them for at least that day. Parents will also love anything that you hand out to occupy their children's time such as foam fingers or other toys. If handing out materials isn't appropriate for an event, another idea is setting up a mister tent to help people beat the heat. In fact, handheld fans, water bottles (with water in them), squirt guns and other products that help people cool off will always be appreciated by prospects. Just be sure that your logo and contact information is big and bold. Misters are so delightful during hot summer events that they are very popular with all ages. To engage prospects, hand them small towels with your logo and information to dry off after they get wet. For food events, cup or can holders that insulate are a fantastic handout. Arrange with food vendors to give them to every customer that gets a drink. Or create event promotional materials such as cups that have a coupon imprinted on them. The ultimate goal is to invite people into your brick-and-mortar business or visit your website, so a coupon offer for a free or discounted service is ideal for giveaways. The biggest challenge for marketers during summertime is to drive customers indoors to your business. People are inclined to spend time outside during warm weather. Additionally, customers may be out of the office for a significant number of days and can't be reached. Therefore, it is important to think outside the box creatively to find prospects and offer them an incentive that will overcome their reluctance to come in. Every locale has one or more special events unique to that area. Go out of your office to where you will find crowds of people and offer them something that they can't wait to use.